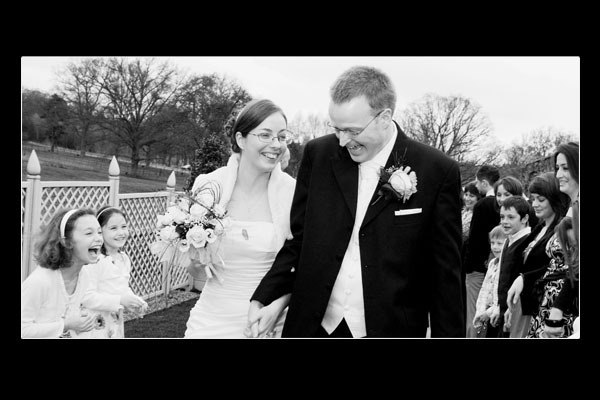 Tracy & Daniel got married on Saturday 20th March 2010 at Braxted Park Estate in Witham, Essex. They booked me well in advance, the previous year, after I had been to see them and showed them all of my different albums. 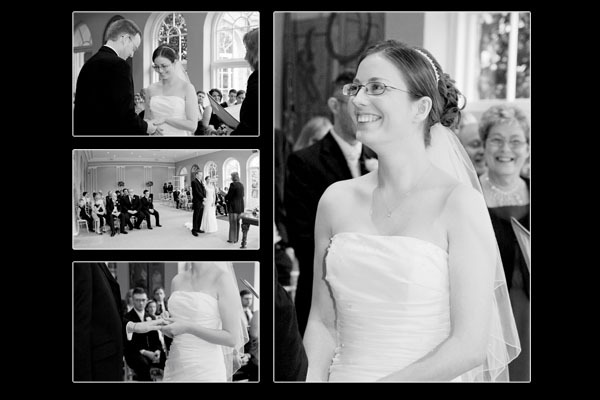 I had never done a wedding at Braxted Park before. Tracy & Daniel showed me some pictures of the venue and it looked amazing, I couldn’t wait to take photos there! If I haven’t been to a particular venue before then I will always visit it before the wedding so that I can get loads of ideas and inspiration. I would hate to miss an opportunity for a great photo so it’s always beneficial to have a good look around a venue, especially with the couple as well, as they may have ideas too. I met Tracy and Daniel at Braxted Park in February. A month before is normally a good time to see a venue as not much should change in a month! When I arrived at the venue it looked amazing. There is a massive driveway with trees either side and then the estate is at the end of the driveway. All I could think about was the photos I wanted to take with that backdrop! I normally spend about an hour with couples going through all of the timings and details of the day. This is so that I know exactly what is going on so that I can be in the right place at the right time; I would hate to miss anything! On the morning of the wedding it was raining so I was praying it would stop so that we could get some photos outside as it is so stunning. Tracy was getting ready there so when I arrived I went to her first to take some pictures of her getting ready and the dress, shoes and flowers. Her room was beautiful with loads of windows so the light was great. I didn’t use any flash for the photos of her dress, flowers and shoes, and I just used a bit of fill in flash for when she was standing by the window and in the mirror. I love using as much natural light as possible as it looks so much more natural and soft. I then went to go and find Daniel and the best man to get some shots of them and I got soaked! It was still raining but it was that horrible drizzly rain that gets you drenched. I only normally get a few shots of the groom and best man before the wedding as they usually have plenty to do already, and by that time the guests are normally starting to arrive. 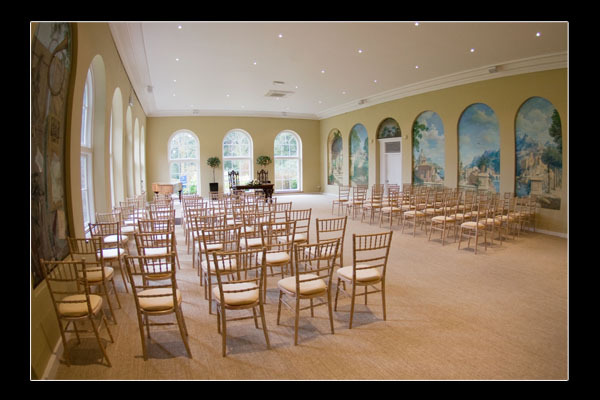 The ceremony room was beautiful. I’m glad I got a photo of it before the wedding. I used my fish eye lens (which I love!) for this shot so that I could get the whole room in which I think looks really effective. It had huge windows letting loads of light in so I only had to use a little fill in flash for the photos of the actual ceremony. I like to stand on the groom’s side normally so that when the bride & groom turn to face each other, I then get the bride facing my way. 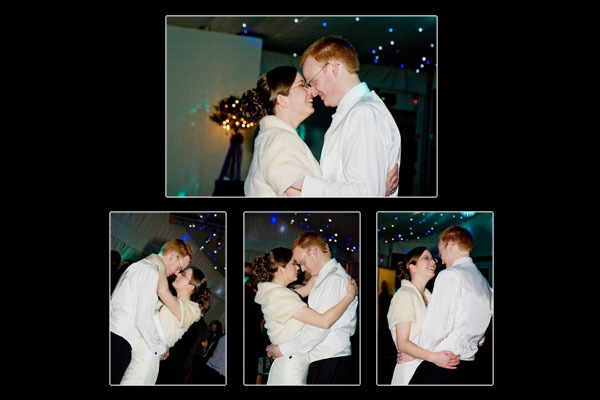 I love these shots from Tracy & Daniels ceremony. After the ceremony the rain had died down a bit so we made our outside to a set of steps for the big group shot. I was so pleased the rain had eased off as the steps were perfect for a group photo. Tracy & Daniel had a beautiful marquee surrounded by lovely gardens and a fountain so I did the group shots outside with the fountain in the background, but it did start to rain again. The rain was on and off though so as soon as I saw that it had stopped, I got everyone back outside. The backdrop was so much nicer outside so I did do as much as I could out there. We were right next to the marquee so guests didn’t have to go far for the photos, which is always good. 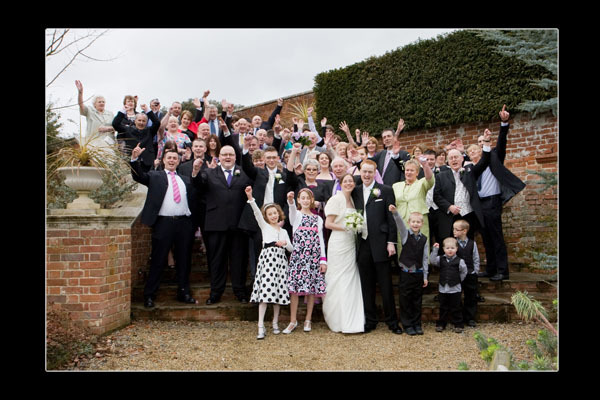 If everyone is reasonably close then it does help with getting the group shots done without delay. If the group photos over run then this eats into the bride & grooms photo time which is never good as I want to get as many lovely shots of them as possible! Unfortunately it was still raining a bit for the bride & groom photos but Tracy & Daniel didn’t care which was great! It meant that we got some fantastic shots of them on the driveway and walking around the venue. I didn’t keep them out in the rain too long but I got what I needed so I was happy. I like to get shots of the wedding breakfast tables before everyone sits down so I did this when we got back and then shortly after everyone sat down for speeches and food. This is normally a great time for me to sit down and have a break when everyone is eating as no one likes a photographer in their face when they are eating! I also like to just have a quick look at the photographs I have taken as well, just so that I can check what I have got, and then I get really excited about editing them! Tracy & Daniel’s wedding cake was on a table in the marquee under a spot light so I used this for the lighting. I love this image of the cake, the lighting made the background go really dark so the cake stands out really well and looks very atmospheric! When I do photos of the first dance I like to do a mixture of normal flash lighting, and then if there are disco lights I love doing a long exposure to capture all the lights. I think it gives the photos loads more movement which is obviously great for dancing photos! With this image I did a long exposure with flash, so that Tracy & Daniel are lit up, and then I zoomed in to create the effect with the disco lights. I find that shooting at an angle makes it look a bit more funky as well.